When Charlie Trumper inherits the barrow his grandfather used to peddle fruit and vegetables in turn-of-the-century Whitechapel, England, he inherits his enterprising spirit as well. Charlie's deeply held ambition to raise himself out of the poverty of London's East End is destined to be realized, but there are many obstacles to overcome, including a tour of duty at the front in World War I, where he encounters the man who will become his lifelong enemy. One evening, Danny, an East End cockney who works as a garage mechanic, takes his girlfriend up to the West End to celebrate their engagement. He crosses the path of Spencer Craig, a West End barrister tipped to be the youngest Queen's Counsel of his generation. A few hours later, Danny is arrested for murder and later is sentenced to 22 years in prison. If you’ve read one, you’ve read them all? When an aristocratic old lady is brutally murdered in her English country home on the night before September 11, 2001, it will take all the resources of the FBI and Interpol to work out the connection between her death and a priceless Van Gogh, which is stolen that night. From strangers to rivals, four men embark on a journey for the highest stakes of all - the keys to No. 10 Downing Street. Unfolding over three decades, their honor will be tested, their loyalties betrayed, and their love of family and country challenged. But in a game where there is a first among equals, only one can triumph. What can an Oxford don, a respected society physician, a chic French art dealer, and a charming English lord have in common? Very little, except they've all been swindled out of every cent they had by Harvey Metcalfe, the man who wrote the book on international stock fraud. They haven't a prayer of ever seeing their money again. Or have they? Some people have dreams that are so magnificent that if they were to achieve them, their place in history would be guaranteed. People like Christopher Columbus, Isaac Newton, Florence Nightingale, Thomas Edison, Nancy Astor, Charles Lindbergh, Amy Johnson, Edmund Hilary and Neil Armstrong - their unparalleled success has made their stories into legend.But what if one man had such a dream, and once he'd achieved it, there was no proof that he had fulfilled his ambition? A disgraced British colonel bequeaths a mysterious letter to his only son. The moment Adam Scott opens the yellowing envelope, he sets into motion a deadly chain of events. Within days he's running for his life, pursued by the KGB, the CIA, and his own countrymen. Powerful men plot his destruction, and Adam is betrayed and abandoned even by those he holds most dear. When he finally realizes what he possesses, he's even more determined to protect it, for it's more than a matter of life and death - it's a matter of honor. Nearly a decade after his last volume of short stories was published, Jeffrey Archer returns with his eagerly awaited, brand-new audiobook collection. Tell Tale gives listeners a fascinating, exciting, and sometimes poignant insight into the people he has met, the stories he has come across, and the countries he has visited during the past 10 years. 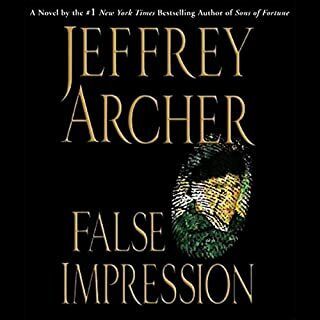 Jeffrey a Archer never disappoints! The FBI doesn't believe it. The governor wants the problem to disappear. But Agent Judy Maddox knows the threat is real: an extreme group of ecoterrorists has the means and the know-how to set off a massive earthquake of epic proportions. For California, time is running out. Now Maddox is scrambling to hunt down a petty criminal turned cult leader turned homicidal mastermind. Because she knows that the dying has already begun. When Marshall McEwan left his hometown at age 18, he vowed never to return. The trauma that drove him away ultimately spurred him to become one of the most successful journalists in Washington DC. But just as the political chaos in the nation’s capital lifts him to new heights, Marshall is forced to return home in spite of his boyhood vow. His father is dying, his mother is struggling to keep the family newspaper from failing, and the town is in the midst of an economic rebirth that might be built upon crimes that reach into the state capitol - and perhaps even to Washington. Eeny, meeny, miny, moe. Catch a tiger by its toe. It's seared into Atlee Pine's memory: the kidnapper's chilling rhyme as he chose between six-year-old Atlee and her twin sister, Mercy. Mercy was taken. Atlee was spared. She never saw Mercy again. Three decades after that terrifying night, Atlee Pine works for the FBI. She's the lone agent assigned to the Shattered Rock, Arizona resident agency, which is responsible for protecting the Grand Canyon. So when one of the Grand Canyon's mules is found stabbed to death at the bottom of the canyon - and its rider missing - Pine is called in to investigate. 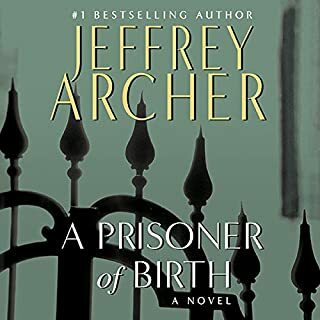 On July 19, 2001, Jeffrey Archer is sentenced to four years in prison for perjury. He serves the first three weeks of his sentence in a high-prison that houses some of Britain's most violent criminals. 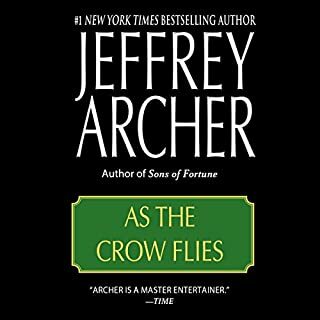 Archer contemplates suicide; he is allowed out and followed by 100 reporters on the day of his mother's funeral; he's moved to the Lifer's wing because of the security; and he becomes a trusted confidant for fellow convicts. A Prison Diary is Archer's account of these events. International best-selling author Jeffrey Archer has spent the last five years gathering spellbinding stories from around the globe. There are tales from India, Germany, the Channel Islands, England, Italy, and many other countries, all brought back with care. Some of these stories will make you laugh; others will bring you to tears, but, once again, every one of them will demand that you keep listening until you finally discover what happens to this remarkable cast of characters. It seems lately that I just couldn't find an audiobook that grabbed me and wouldn't let go. Everything seemed "all the same". I was beginning to get quite frustrated. I decided to go back into my library and maybe listen to one of the hundreds of audios I've downloaded in the past 2 years. 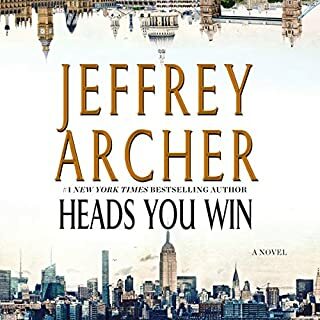 I came upon one my my favorite authors, Jeffrey Archer, so I clicked his name and it brought me to his list of books, most of which I've listened to. So glad I did! He once again, didnt fail to give me something I could sink my teeth into. It was COMPLETELY enjoyable to listen to. Somewhere right between "cant press stop" and "wow, what a great story......looking forward to the next chapter". Archer's tale is one of two men, born at the same time (early1920's) but worlds apart physically, emotionally, and financially. Yet, their differences were only one facet of this great story. The struggles they both experienced in life to reach their goals had one common thread. They both had grit and integrity. Their experiences somewhat mirrored each other yet so differently that it made for an extraordinary story line. So well written and so easy to listen to, yet, not one that puts you to sleep. The author did a fabulous job of entwining these men's lives in and out throughout the story, it gave it that "Oh my gosh......how ironic" feeling. Often it was like I was above, peeking down on them and watching their lives unfold. Please do yourself a favor and make time for this one. I expect you'll enjoy it as much as I did. Interesting how our perceptions change over the years. I first read Kand & Abel about 30 years ago and found it a fast moving narration of two powerful, competitive men. However, just havng finished it on audible, i find it a very sad story of two people neither accepting the opportunity to understand the other. Interesting how differently a novel can read to a 65 year old vs. a 35 year old. This story is very well written with a well structured plot. The story pulls you in from the very beginning with its interesting and well developed characters. It's a fast moving story about two powerful and very competitive men, and their families. It is also a very sad story of two people hating each other but neither would give in and accept the various opportunities to learn about and understand the other. They relished in their hatred far too long. Both are slick manipulators; one abide by laws, the other not so much. One is Polish and the other a "Bostonian"....they hated the racial/cultural ethnicity of the other. In the beginning, Abel Rosnovski was my favorite character but he ended up being my least favorite. The circumstances of his birth (really sad) made my heart ache. However, throughout the story he was saved and befriended by many people and yet his heart easily turned cold and calculating without proof or evidence to justify his actions. I did enjoy this story but there are some glaring holes and contrivances. Abel Rosnovski was all knowing and had spies everywhere but was unable to find out who his benefactor was (what??) .... this contrivance was unbelievable and unlikely. Both men lived for their children, but they were willing to stop talking to them and cut them from their Wills when the children would not succumb to their father's demands (what ??). Another total contrivance is Abel being placed in a container filled with coal for an extended period of time (again unbelievable). It was hard to breathe after the first few minutes. He should have been dead or nearly dead by the end of the journey. The most least likely believable, is Henry, the ultimate scammer and criminal, becoming a congressman (What ??) Maybe that could happen today but not likely back in the 1950's and 60's. I was looking for a novel that I could sink my teeth into and this was the one I chose. Even though there were many holes and contrivances, the overall story was entertaining. After 19 hours of listening, I didn't want it to end. The ending was okay, but was very disappointing. As I said, the two men were too prideful, they would sooner die than acknowledge each other. The overall story was a generational family drama, and the author did a great job of weaving the men's lives in and out throughout the story. The narration was good, not great. Would highly recommend to anyone who can "suspend disbelief" beyond normal in order to listen to a great family saga. Absolutely! I had read this book years ago, but it seemed new to me having it "read" to me. It keeps your attention from beginning to end and I did not want it to end. It is amazing how the characters ended up connecting. I love how the main characters brought themselves up to such a level of success. Have you listened to any of Jason Culp’s other performances before? How does this one compare? no I haven't listened to him before. Who was the most memorable character of Kane and Abel and why? William Kane because he was so ambitious and seemed to have a good heart (for the most part). When it ended, I was sobbing....it was SO touching, yet tragic. My teenage son, thought I was CRAZY! but this book was so awesome I wanted more! I found this book when I looked into who the authour was of his new book: The Clifton Chronicles. 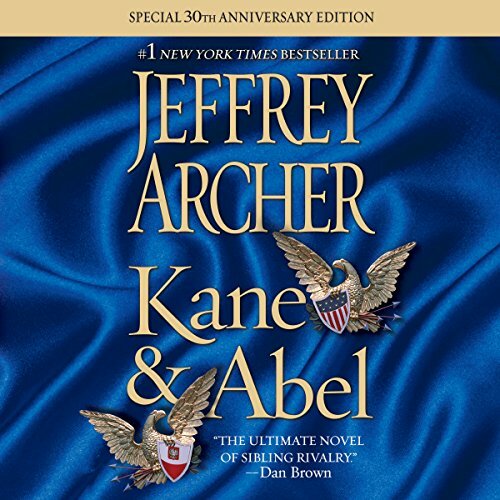 Kane and Abel has an intriguing plot, likeable characters with an unknown future..all this kept me waiting for my next day at work so I could listen again on the commute. 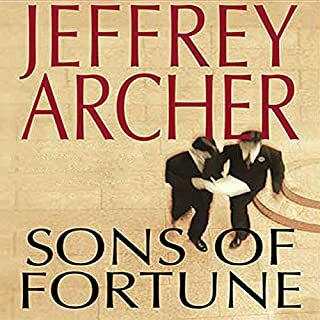 The ending was appropriate, but still somehow disappointing...or was I just sorry the story ended.I will now look for more Jeffrey Archer books. I don't know why I took so long to find him. What made the experience of listening to Kane and Abel the most enjoyable? The narrator was exceptional and believeable. I think Abel Rosnovsky was the most interesting character owing to the circumstances of his birth and the ways he was saved by folks in his life. If you could take any character from Kane and Abel out to dinner, who would it be and why? I would dine with Abel for sure at the Baron in Warsaw! Well worth my time. Archer can sure write a good yarn! I enjoyed the history very much. The ending was a bit dissappointing, but the first 75% of the book was worth it. I think I read this book in the 80s but I am not sure. Thankfully I have a lousy memory for these kinds of things so I was not wasting my time reading it again, plus it didn’t seem familiar… still, I can’t shake the feeling this was a re read. This is the 5th Archer book I’ve read and I really enjoy them, the stories are right up my alley. 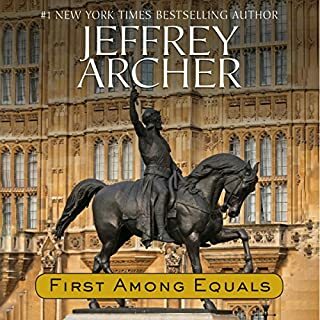 I’ll be reading more Archer books for sure, along with Ken Follett and Edward Rutherfurd they are dependably entertaining reads.